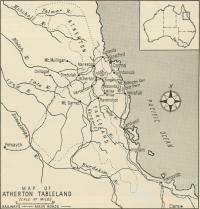 The Atherton Tablelands consists of three tablelands, Hann in the north, Atherton, and Evelyn in the south. It is situated in North Queensland in the Cairns hinterland. After intense volcanic activity, dense rainforest was established on the southern tablelands approximately 50,000 years ago. For thousands of years they had been the home of Aboriginal people who moved over the landscape and through the forests with minimal impact. 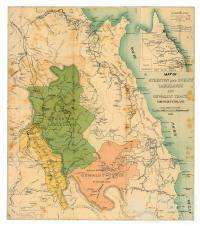 However, exploration and mineral discoveries followed by pastoralists and farmers transformed the area completely. Today, it is known for the beauty of savannah, remnants of rain forest, volcanic craters, lakes and waterfalls, and rolling hills as well as agriculture and animal production. Maize was one of the first crops produced on the tablelands, grown for animal and human consumption. 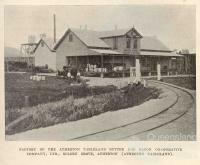 When the land around what is now the town of Atherton was opened for settlement in the 1880s, blocks were taken up by men many of whom had no experience as farmers. Confronted by impenetrable forest, stinging trees, leeches, snakes and unknown hazards, many opted to appoint Chinese as bailiffs to clear land and grow crops. Land was clear felled and timber not sold to loggers was burnt. Thousands of acres of rainforest, including valuable cabinet timbers, were destroyed as a direct result of land laws which required clearing and cultivation as a condition of occupancy. 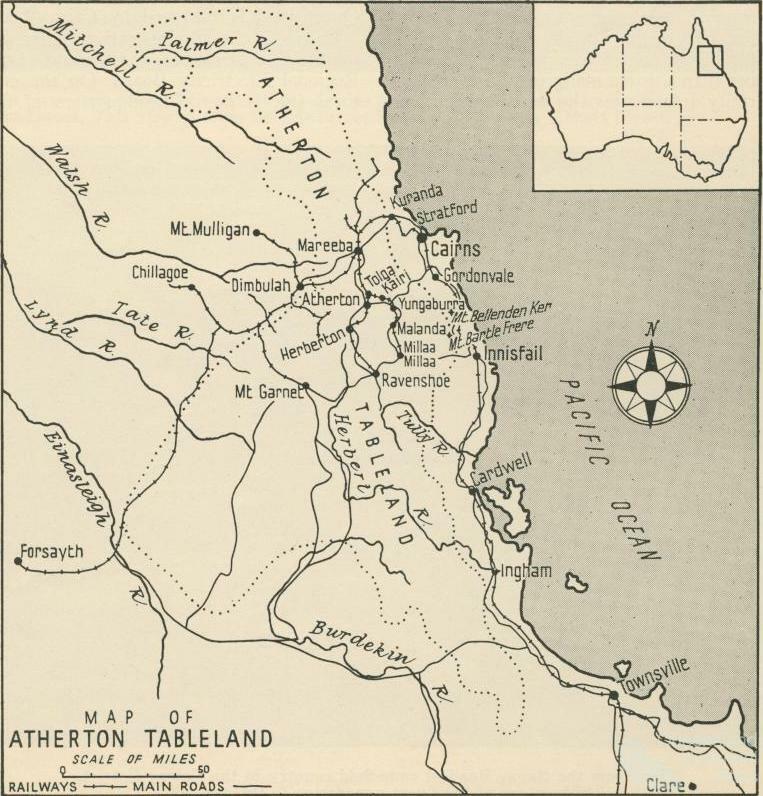 Over the following hundred years, most timber was cleared from vast areas of the southern tablelands to establish a variety of crops, of which the maize industry is now a significant sector. By the turn of the nineteenth century Queensland governments were encouraging the establishment of dairy industries over many parts of the State. 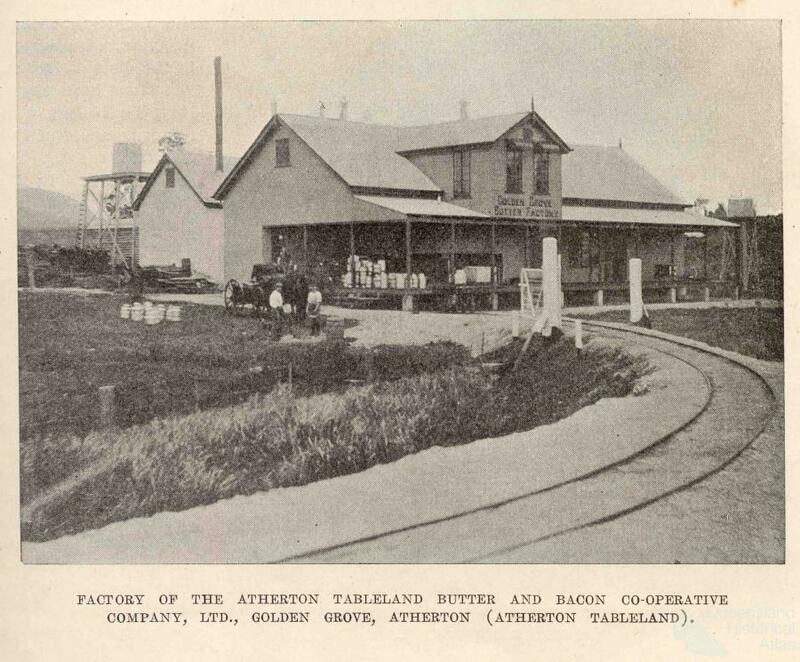 The tablelands were no exception, and land was taken up by dairy farmers and their herds to provide butter for home and export consumption. Again, a condition of occupancy was clearing and fencing of land, and thousands of acres of land, some on volcanic slopes, were cleared and planted with exotic grasses. However, distance from markets and lack of refrigeration and transport caused the industry to struggle for years until factories to process the milk and cream were built. In time, service towns were established and roads, schools, hospitals, courthouses and other infrastructure built for the growing population. Demands by American service personnel for fresh milk during World War II transformed the industry from butter to fresh milk production which brought a measure of prosperity to the farmers. Large scale soil conservation projects during the 1960s, as well as pasture improvement initiatives stabilised fragile soils, and led to greater efficiencies in both production and then processing of raw product. Dairy deregulation in the 1990s caused a contraction in the industry with many farms converting to grazing beef cattle or cropping. 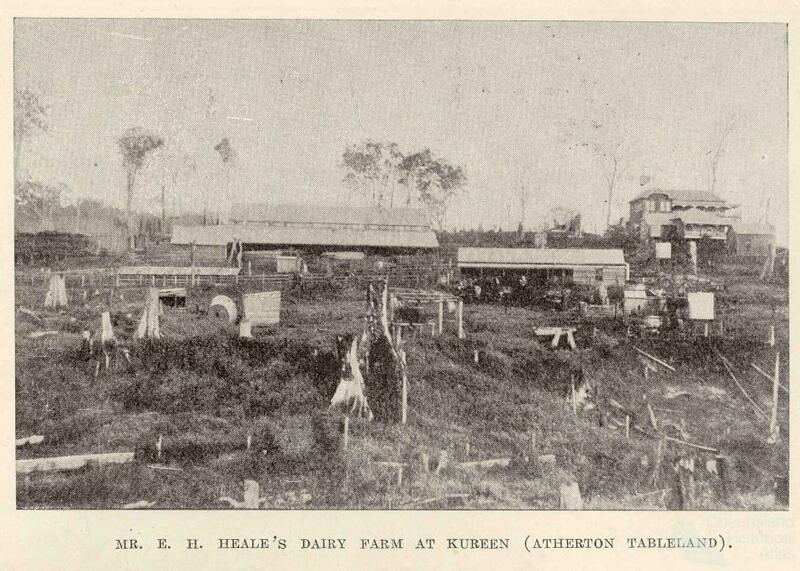 Over the past 100 years the dairy industry was a major contributor to the transformation of the southern tablelands from essentially rainforest to cultivated grasslands and animal production. 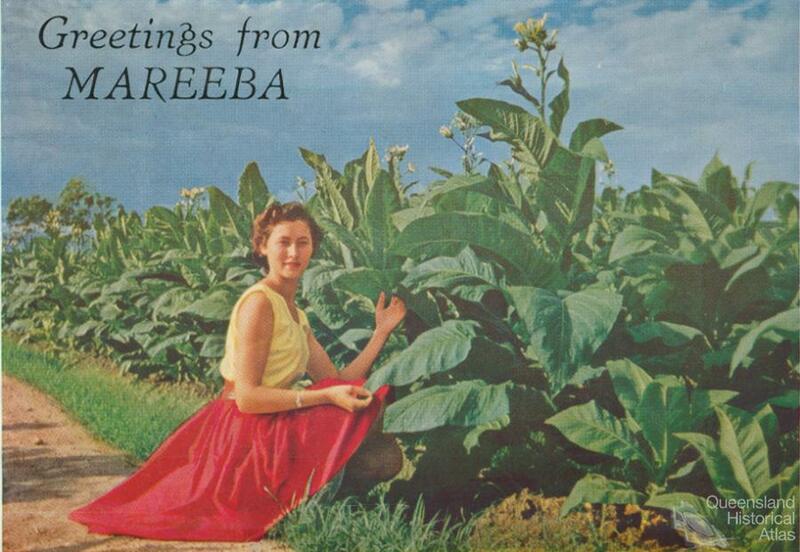 The third industry to have a major impact on the landscape was the tobacco industry, established at the northern end of the tablelands around the township of Mareeba in the early 1930s. Farms were established in the relatively dry savannah land which is mainly granitic in structure, considered ideal for tobacco cultivation. However, production of high quality leaf is notoriously difficult for dry land farmers, and it quickly became obvious that successful cultivation required irrigation. Therefore tobacco farms were established along natural water courses, but water supply was not consistent, and sometimes unpredictable. As the industry expanded it became clear that a reliable source of water was necessary. In 1955 Tinaroo Dam was completed, the only dam in Australia specifically constructed to service the needs of a single agricultural industry at that time. The source of water in the dam is the Barron River, rising on the southern part of the tablelands. Water is delivered to farms through hundreds of kilometres of concrete channels. More land was opened up for tobacco growing, and the industry expanded so quickly that it was necessary to control production through various Stabilisation Plans for the next thirty years, until eventual deregulation of the industry in the 1990s, after which tobacco growing ceased entirely and a range of horticultural and tree crops have taken its place. 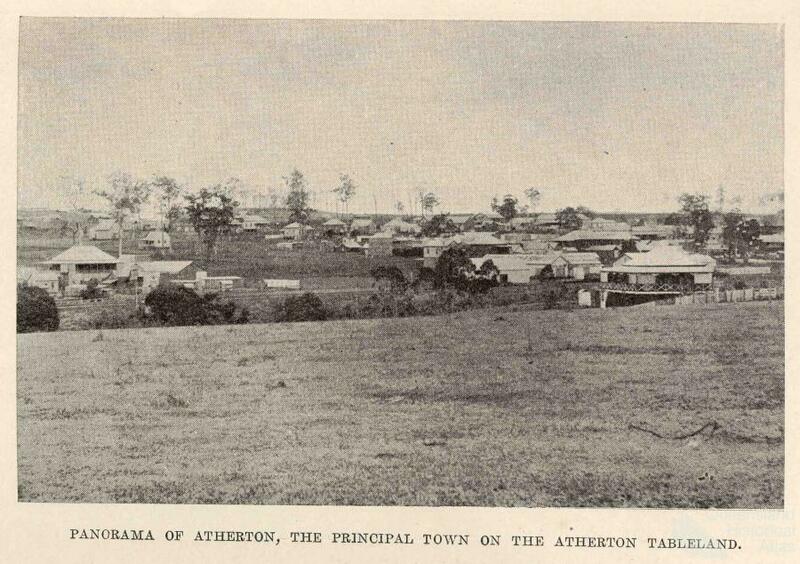 During the course of the last one hundred and fifty years the Atherton Tablelands have been transformed from pristine rainforest and sclerophyl forest providing a home for possibly 1000 Aboriginal people living sustainably and non-intrusively within the landscape, to a food bowl supporting 60,000 people. The transformation has come at the cost of the destruction of hundreds of thousands of trees, loss of habitat for many rainforest species, both flora and fauna, and in places, soil degradation. World Heritage listing of remaining rain forest, soil conservation and plantings of wild-life corridors by farmers have gone some way to remedy the impact of food production on the landscape, and the Atherton Tablelands today is beautiful, but in no way similar to the way it was more than one hundred and fifty years ago.